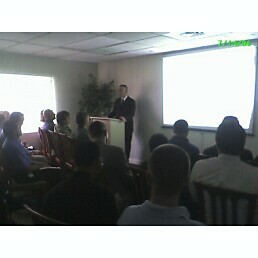 We welcomed 35 attendees to a packed room in the CrestHill Suites for our first meeting of 2006. Mr. Brian Digman, CIO of New York State Department of Taxation and Finance gave a presentation on Service Oriented Architecture. We would like to thank everyone who attended the July meeting, and would like to invite everyone to attend our next meeting.